A1 Glass and Glazing have installed hundreds of Glass balustrades and we have a proven record of delivering a quality finish every time. If you need something out of the ordinary, we are a truly bespoke glass company that can fulfil your requirements. Glass balustrades are a stylish addition to any home or business. For contemporary features that add their own distinctive style to any home or business property, talk to our team today and find out more about our emergency glaziers and glass balustrades in East Sussex, Lewes, Hassocks and Hove. We can supply and install our balustrades in a complete range of styles and sizes and we have a selection of posts, handrails and clamps from which to choose. Our glass balustrades in Brighton offer our customers stylish solutions and benefits that look great, are simple to maintain and always attract attention from visitors to your property. Our balustrades can be made to any size and specification We use glass sandblasting techniques to create amazing design features that can include company names and logos. 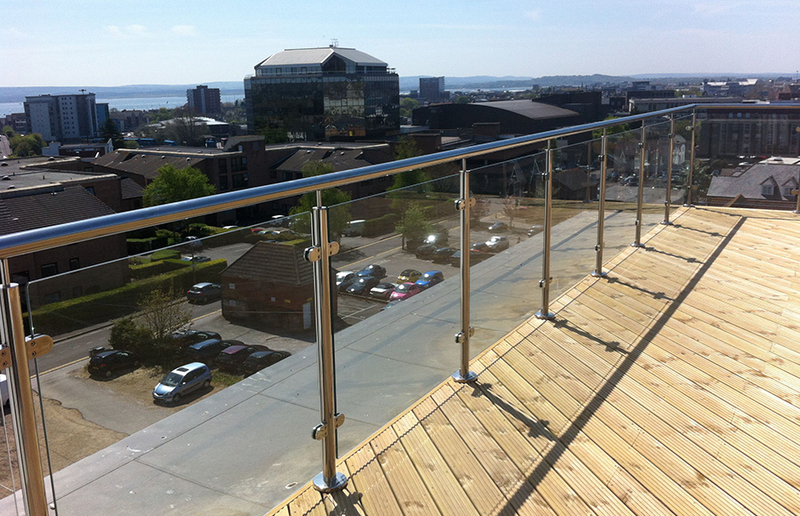 We polish the edges of our glass balustrades in Brighton as a standard part of our services. Frameless systems are available or you can have your balustrades installed with traditional posts. Our services include measuring and template creation. Installation services are also available. A highly attractive benefit of installing glass balustrades is that it enhances the aesthetics of any property. The clean and sleek design make sure it is able to fit into any building, making it look more modern. Should you decide to sell your home after installing glass balustrades, it will add more value to the property. As it is made from glass, they are guaranteed to be easy to maintain, with only a quick wipe needed to ensure it stays looking its best. The glass balustrades are designed to maximise your spare time, ensuring that all fingerprints and marks can be easily removed. All you need to use is a glass cleaning spray and cloth – it really is that simple and only takes a few minutes. Do you want to create the illusion of extra space? Or are you looking for a way to increase the light circulating your home? Installing glass balustrades ensures your home is kept bright. As it is a see-through material, it does not create an unwanted barrier blocking off light to certain areas of your home. Its ability to increase light creates the illusion of more space, even in the smallest areas. 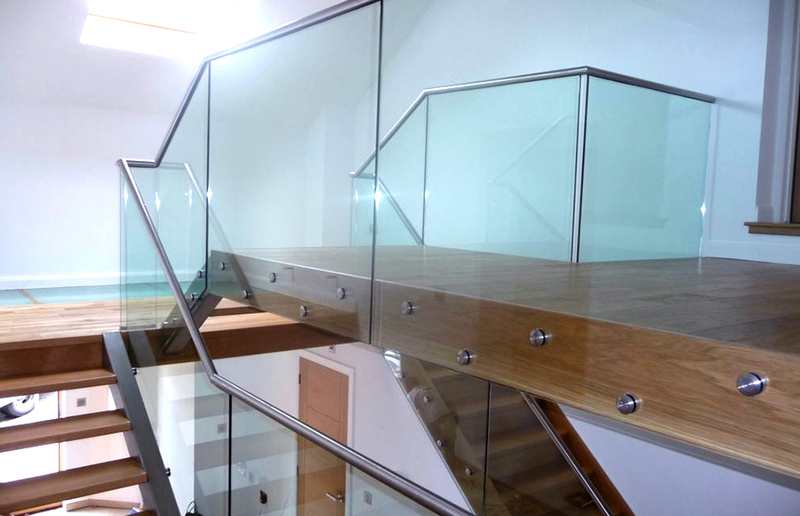 All our glass balustrades are made from toughened glass, which means they are able to withstand almost any situation. The properties in the glass make them tough and strong, so they won’t break or need replacing sooner than necessary. Each one is designed to not rot or warp, providing you with a product that can withstand the test of time. It is the perfect choice for any type of home. It is widely recognised that glass is a recyclable material, therefore, installing glass balustrades into your home ensures your home is one step closer to becoming as eco-friendly as possible. Unlike some materials that can emit harmful substances over time, glass is guaranteed to not do that. This addition is a great way to make your home eco-friendlier. No two homes and properties are the same on the inside, which is why the range of glass balustrades we offer are all fully customisable, ensuring it provides a seamless fitting. Each one is manufactured to fit your exact design specifications, making sure you are provided with the perfect product for your home. Glass balustrades don’t just have to be used in the home. They are a great addition to balconies, offering excellent barriers for added protection. In addition, it offers unobstructed views and ample amounts of natural light. They are also a great addition to swimming pool areas, providing added protection so you don’t have to worry about your children entering the pool without you. Each glass balustrade can be custom made, which means each one will come at a different price. To ensure you aren’t paying more than you should, give us a call and a highly qualified team member will be happy to help you find your bespoke quote. If you are pressed for time, use our online form to send us an email and we will get back to you as soon as possible. Remember to factor in all the customisation options available to ensure your quote is true to the product you desire.